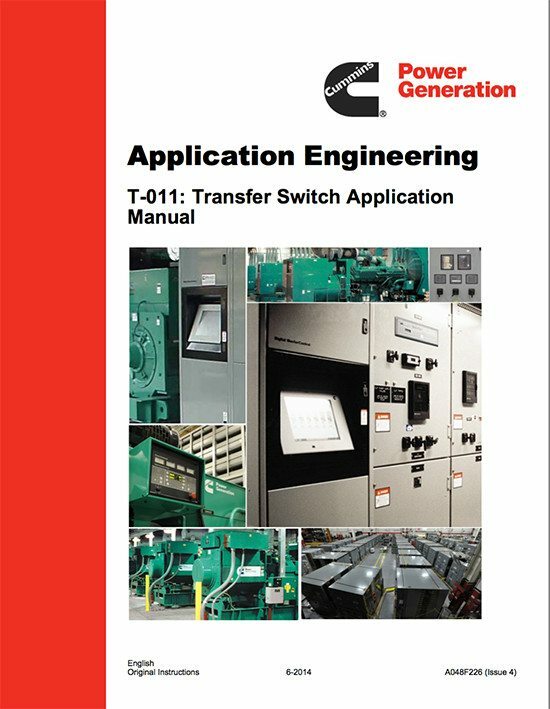 This Manual is intended to provide guidance in the selection and application of transfer switch equipment in a variety of power generation situations. 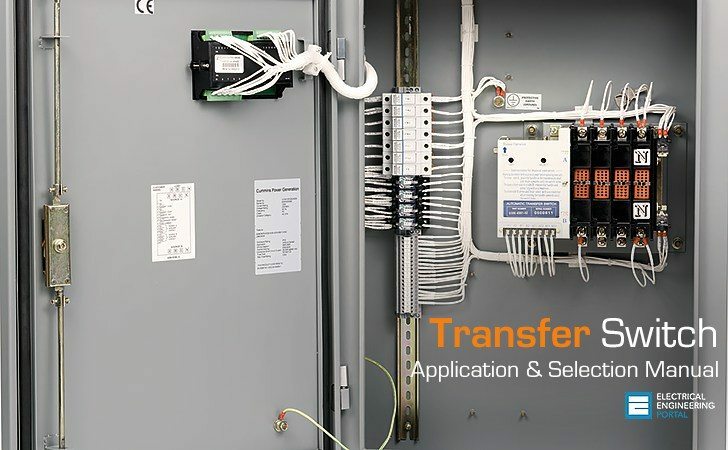 Transfer equipment is available in many configurations, all sharing the same basic function, that of providing a means to connect electrical loads to either of two independent power sources. Equipment is also available to connect loads to more than two sources but most of the discussion in this manual is directed to two-source transfer. This equipment is used to increase the availability and reliability of power to serve the load equipment. In many cases, this equipment may be required by codes and standards, developed and enforced on a national and local level. Proper selection and application of this equipment is the ultimate responsibility of qualified facility designers and engineers. Every standby generator set installation will require power transfer equipment, either transfer switches or paralleling switchgear. The proper system for the job and its proper application are crucial to reliable and safe operation. The following Cummins Power Generation application manuals address related aspects of standby and emergency power systems. Because these manuals cover aspects requiring decisions that must be taken into consideration early in the design process, they should be reviewed along with this manual. I am really happy to get at least few information about my subject & I am thankfull to u for providing information. Please fix the download link, it doesn’t go anywhere. For those who where looking for the document here is the link. It’s the importance information in the electrical engineering field I ever had. Thank you.